California has one of the most challenging real estate markets for first-time homebuyers. Several cities in California have average home prices which far exceed the average person’s ability to pay. With housing prices on the continual rise, something has to give if normal people are going to be able to count themselves among the population that owns the homes in which they reside. A citizenry of homeowners is great for state and national economies. With a population as large as California’s, more homeowners will improve economic factors in many ways. Just to name a few, homeowners create a stronger tax base than a state of renters. Homeowners create wealth in the form of equity, which translates into better education standards for their children, better health standards, and all of the other positive effects of private wealth on a small to moderate scale. Homeowners also contribute to the stability of individual neighborhoods and communities, which benefit from long-term occupancy and commitment to crime reduction and general standard-of-living improvement. But many buyers, especially first time homebuyers, simply can’t afford the cost. With home ownership so essential to the health of an economy like California’s, there is one group which is stepping into the breach and making it easier for first-time homebuyers to successfully finance a home, without putting them in debt they cannot afford. That company is the California Housing Financing Agency (CalHFA), and they’re making a difference in the lives of Californians which is having a positive impact at every level of the state’s economy. Here’s how part of their programming works. Before I get any farther, I should refer you to the CalHFA Homepage, where you can get in touch with A CalHFA preferred loan officer. Homebuying is complex, no matter who you are or what your resources are. This form of financing is no exception. But a CalHFA loan officer will be able to direct you to take advantage of some amazing financing options available through this program. They’re intimately familiar with how everything works; they can answer your questions; they can show you how to own a home, even if you never thought it would be possible for you. If you take nothing else away from this piece, contact CalHFA. They’re in business to put real Californians in homes. Here’s how they do it. 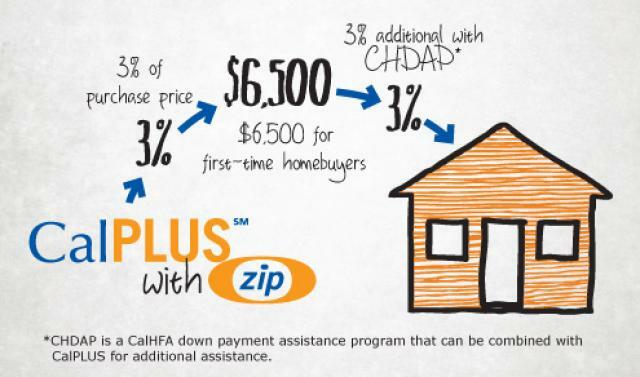 The “CalPLUS Conventional Loan with ZIP Extra” is an example of the most relevant programs for first time homebuyers. CalPLUS is CalHFA’s popular 30-year fixed interest loan. Combined with Zip Extra which is a deferred payment junior loan of 3%of the first mortgage loan amount, for payment assistance, buyers can see enormous savings compared to conventional loans. “ZIP” stands for “Zero Interest Program”, and through it qualifying borrowers will save tens of thousands of dollars over the lifetime of their loan. Basically, this program can potentially put you in a house which you will own outright, with little or no money down. It may sound amazing, and really it is, but this is an investment in the citizens of California, and their contribution to the health of the state itself. Housing is at the crux of this economic issue. In addition to this already excellent package, the CalPLUS Conventional Loan with Zip Extra includes 3% of the loan amount AND $6,500 toward down payment or closing costs. Not only that, there are other CalHFA programs that you may qualify for, which could be bundled together with this program and give you even more money towards your new home. These include the CHDAP program (California Homebuyer’s Downpayment Assistance Program) and the ECTP program (Extra Credit Teachers Home Purchase Program). As stated above, the best way to learn about these additional programs, and about CalHFA in general, is to speak with a CalHFA representative about the best solutions for you as an individual. CalHFA also provides a thorough loan explanation video if you want more details before you reach out to them. To apply, a borrower needs to contact a CalHFA preferred loan officer or call CalHFA at 877.9.CALHFA and ask about the CalHFA CalPLUS loan. 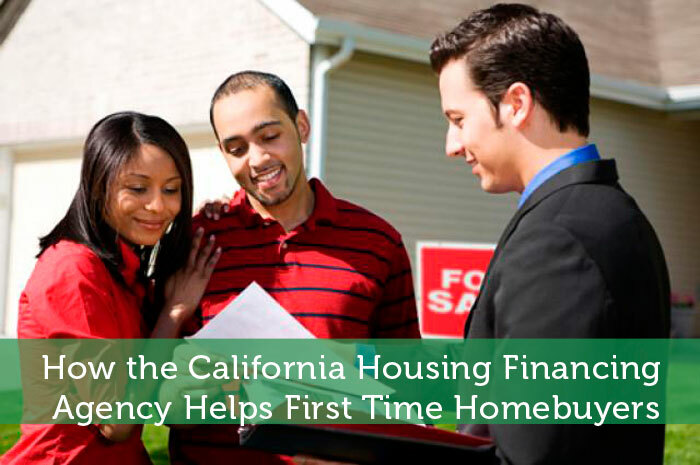 CalHFA has a lot of great opportunities for homebuyers, especially first time homebuyers. They offer energy efficient upgrade assistance, as well as income tax credits. They also provide (and require) homebuyer education for first timers. They can help set up these buyers with home warranties so that if repairs come up, they’ll be able to handle them financially. In every respect, CalHFA is focussed on creating sustainable opportunities for Californians to successfully buy, and continue to afford, a home of their own. A minimum credit score of 640-680 does apply, as do certain debt-to-income ratio issues. But for very many people, this will be a reasonable, attainable goal. If you’re not ready now, a CalHFA representative can give you actionable steps about what to work for in order to qualify. Home ownership is central to the national economy, and is especially important to that of California in particular. If you want to own your first home in California, but are not sure how to make it possible, contact CalHFA. They have the answers and the resources to make your dream a reality.